83% of NHS Facilities fail to comply with Sharps Regulations. An inspection report issued by the Health and Safety Executive (HSE), the body responsible for the initial introduction into UK law of the Health and Safety (Sharps Instruments in Healthcare Regulations) in 2013 and the subsequent compliance of NHS facilities across the United Kingdom, highlights that more than 80% of the 40 sample organisations audited during 2015/16 were showing breaches in the sharps regulations. The inspections were launched in response to concerns from a number of sources that organisations were not complying with the new sharps legislation and aimed to â€œidentify any common causes of non- compliance with legislation designed to protect staff from the risk of exposure to blood borne viruses (BBVs. )â€ The sample group consisted of 34 organisations in England, 4 from Wales and 2 from Scotland including a dental hospital. The â€œorganisationsâ€ for the sake of this report included Trusts in England and Boards in Wales and Scotland. Typical failings included some organisations showing a total lack of sharps prevention strategy or a failure to provide needles or scalpels with safety mechanisms that were readily available. 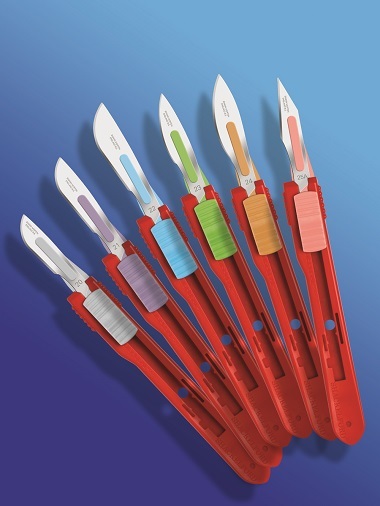 Others had introduced safer sharps but there was still â€œwidespreadâ€ use of traditional devices deemed to be potentially unsafe under the legislation such as standard scalpels whilst others are storing safety and traditional products together which can lead to confusion amongst the attending staff and personal preference coming into play.Other areas of concern highlighted by the report included the lack of suitable risk assessment around the use of non-safe sharps in areas where it was not reasonably practicable to use a safety device and a failure to focus on high risk areas such as emergency and maternity departments. Information and training were also cited as not been adequate and although training in sharps management is mandatory, staff had difficulties in demonstrating levels of compliance and practicing correct techniques. Employees who had undertaken the required training were then inconsistent when explaining how to deploy the safety feature of certain products. This has been an area of focus for the Swann-Morton customer support team over the last three years offering in-house training in best practice for handling their sharps devices and in the correct use and deployment of their range of Sharps Safety solutions whilst leaving clear and concise written and visual instructions that can be referred to as and when necessary. Concerns still exist around the systems that are in place for the investigation, reporting and response to sharps injuries as and when they do occur.The HSE are hoping that by publishing their findings from this initiative it will encourage improvement in how staff are protected from the risk of exposure to BBVs in the future.